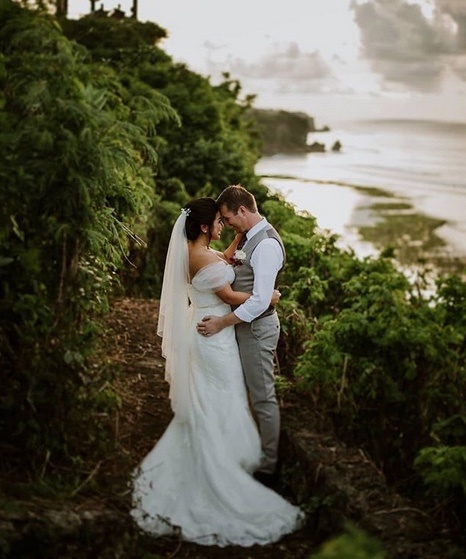 Nothing compares to hosting an amazing, tropical island wedding in the confines of an exclusive private villa with the ultimate Bali sunset backdrop! 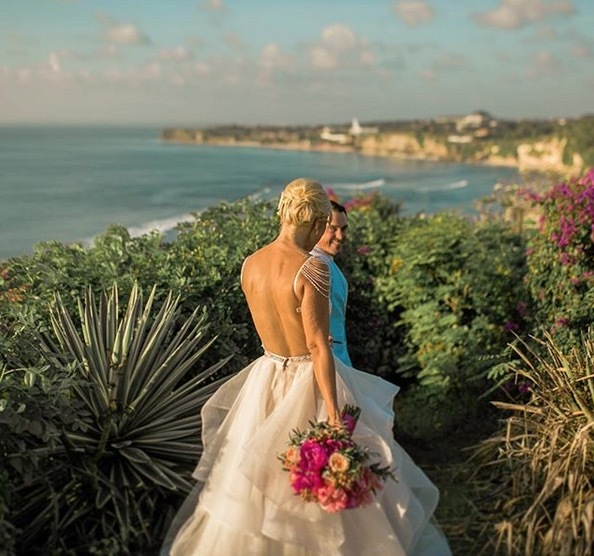 Your Bali Wedding, with over a decade of organizing the perfect weddings for couples from around the globe has compiled a short list, of some of the most popular and equally stunning private villa wedding venues, on the island with sensational ocean vista views. Bali is famous for its brilliant sunsets; consisting of vibrant hues of red, pink, orange and even a little purple on occasions, cast above the azure waters of the endless Indian Ocean. Given our years of experience we make finding the perfect villa a breeze and will not only wow the couple to be, but the entire wedding party and all of those lucky invited guests. The short list we have compiled here stretches the entire southern coastline of Bali, from the towering cliff-tops of Uluwatu and all the way north, to the world renowned Tanah Lot Ocean Temple. Villa Bayuh Sabbha is located on the southern tip of the island on the popular Bukit Peninsula, famous for its beautiful beaches and some of the best surfing spots in the world. The villa is geared for weddings, with formal seated capacity for up to 150 guests or up to 175 guests standing capacity. The villa itself is some 60 meters above sea level, situated on the cliff-tops that overlook the well renowned azure waters of Bingin Beach. You will be treated to amazing views of this raw and naturally beautiful coastline; thus this wedding venue has been highly popular among many of our happily married couples. The sunsets here are sensational and make the best backdrop for your wedding. A handcrafted ceremonial bale is the perfect place for the lucky couple to exchange vows, with on looking guests and loved ones. The bale, come gazebo, is converted into an open-air cocktail bar, for post ceremonial celebrations that will unfold on the manicured lawns as the sun sets over the ocean. The villa sits just a short stroll to the Kelating Beach, amid a peaceful Balinese village and bordered by lush green rice terraces as far as the eye can see. The villa boasts gorgeous tropical gardens, filled with soaring palms, mature trees and vibrant tropical flora. A large open-air living pavilion is perfect for guests to congregate post ceremony and the al-fresco terrace provides even more space for socializing. Villa Arnalaya Beach House is a majestic beachfront villa that is yet another immaculate wedding venue. With the capacity to seat up to 100 guests, or 150 guests standing, the 35 meter ocean frontage property is a popular choice for many couples. 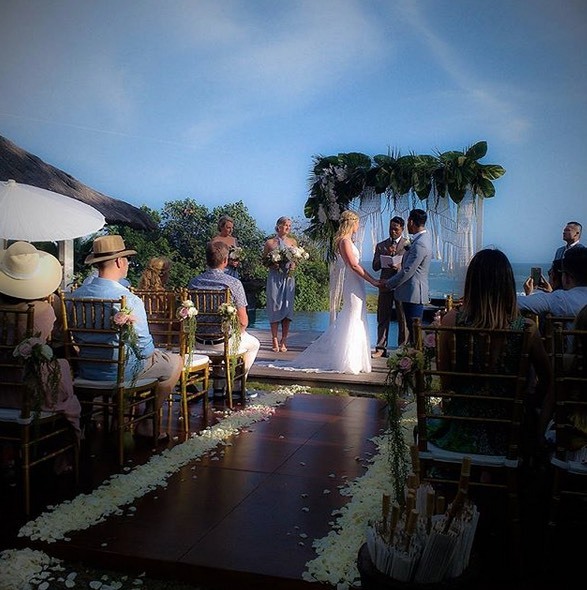 The villa boasts open-air terraces with sunset facing views, a custom built wedding ceremony platform for the couple to exchange wedding rings with the assistance of our in-house celebrant. 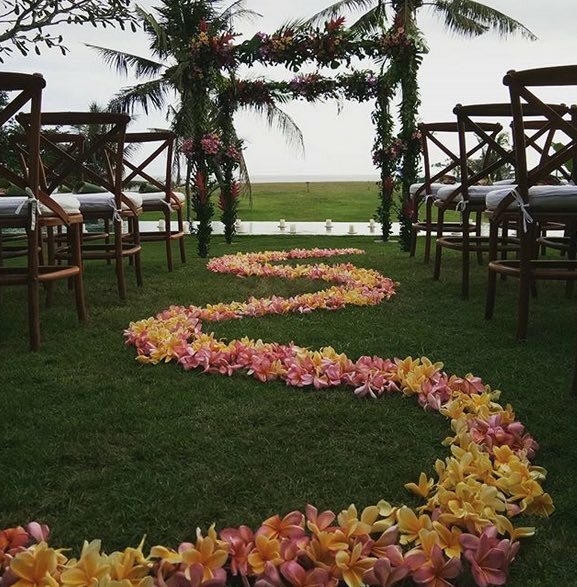 A romantic, candlelit pathway, meanders its way through the gardens, illuminating the beautiful setting, decorated with fragrant flower petals, as the sun sets on the horizon, over the Indian Ocean. The villa is also suitable for smaller, more intimate weddings with a sunset deck area, ideal for a cocktail party and a rear courtyard is perfect for a sit down dinner. 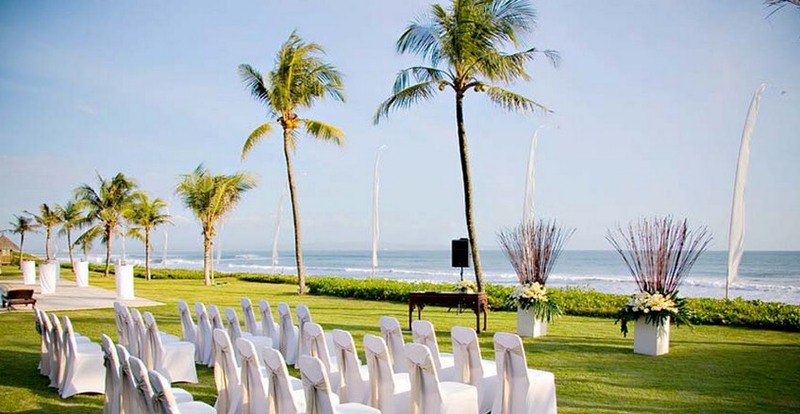 Seminyak is Bali’s most popular holiday destination with its well established cosmopolitan vibe and offers an extensive range of accommodation for all of your wedding guests. This is absolute beachfront estate provides sprawling lawns from the villas main living and accommodation pavilion, past the private pool and beyond, to the sand at the immediate waterfront. The villa can facilitate up to 150 guests seated and a maximum of 200 guests standing. The villa boasts five bedrooms, providing ample space for the immediate wedding party to stay together in the one place. There are three traditional thatched roof pavilions, with a central gazebo that normally facilitates bar service as well a dance floor for guests to really enjoy themselves late into the evening. At Seseh Beach Villas, a versatile wedding arrangement will suit all your personal needs. 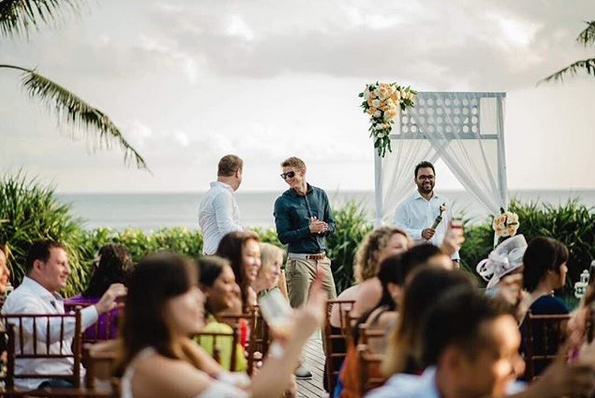 Seseh Beach Villas is a group of villas that provide an array of differing spaces to accommodate any style of wedding with plenty of accommodation in several co-joined villas and fantastic ocean views. The Estate will cater to 70 guests seated in an upper courtyard area with an adjacent pavilion for beverage service and space for live entertainment. After the formal dinner is over, head down to the beach front lawn, boasting a stunning infinity pool, two entertainment pavilions including a cocktail bar and gorgeous ocean views. 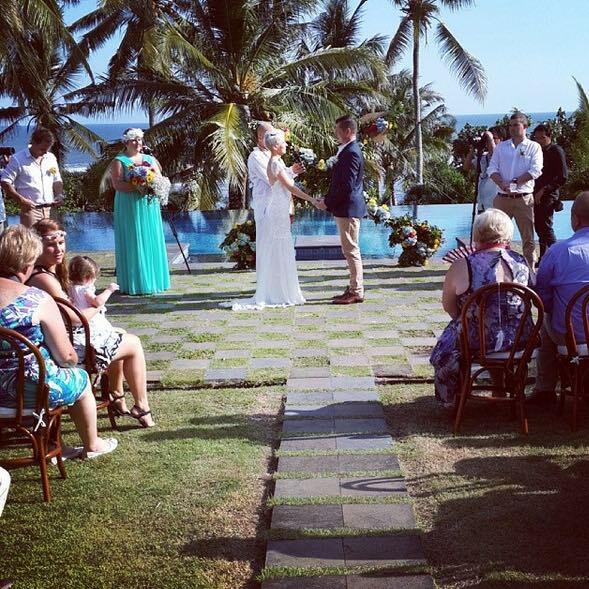 This area is perfect for up to 100 guests standing and a professional DJ, all easily arranged by Your Bali Wedding. Villa Sungai Tinggi has ample space to seat up to 150 guests for a formal sit down dinner, or a cocktail styled affair for up to 200 guests, held within both the guest and main accommodation pavilions. The villa consists of four Master suites within the main pavilion and an additional guest pavilion provides two more bedrooms, ideal for the wedding party. On top of that, guests will be treated to unobstructed views, with a massive 100 meter private beach frontage, providing stunning ocean views. Prior to and after the wedding day enjoy the luxury of your private 18 metre infinity pool, verdant rice terraces will sweep all your city stress’s away at Villa Sungai Tinggi. 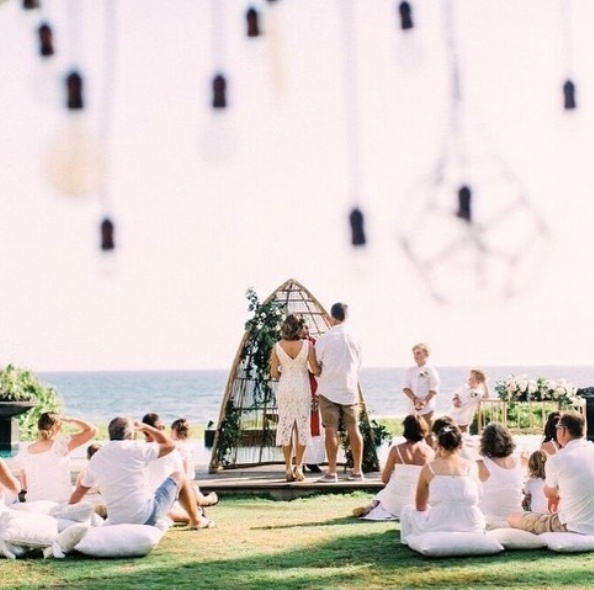 If these villas have given you some inspiration and your super keen to say ‘I Do’ in Bali then talk to Cindy our head Bali wedding planner. She will be able to give you the guided tour of these villas and show you just how fabulous they really are.